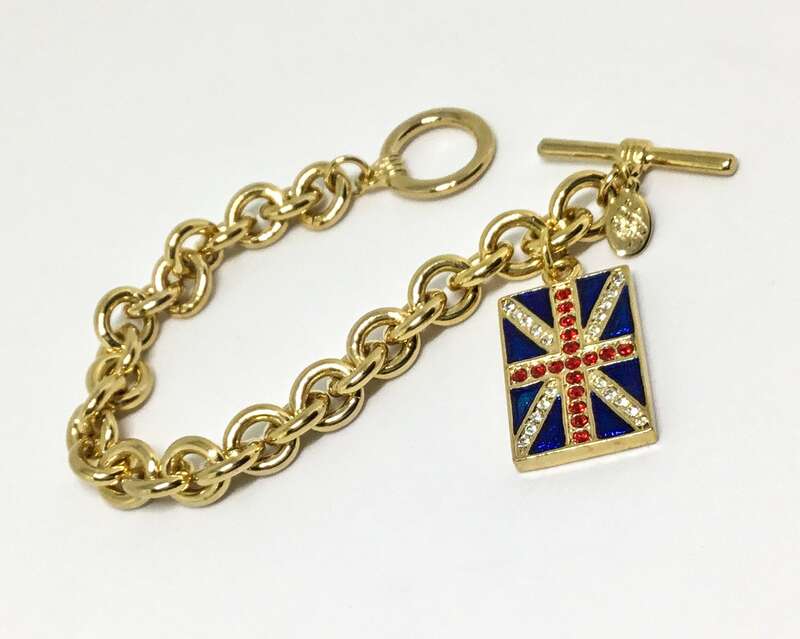 This is a Kirks Folly wonderfully patriotic bracelet. The chunky rich goldtone chain has a toggle closure. 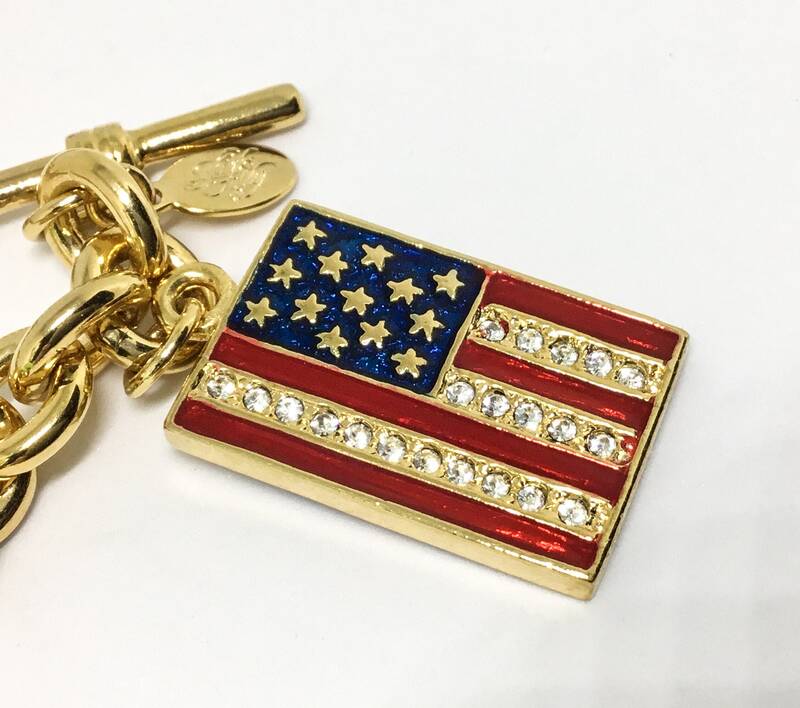 The one charm is two sided with each side a flag. 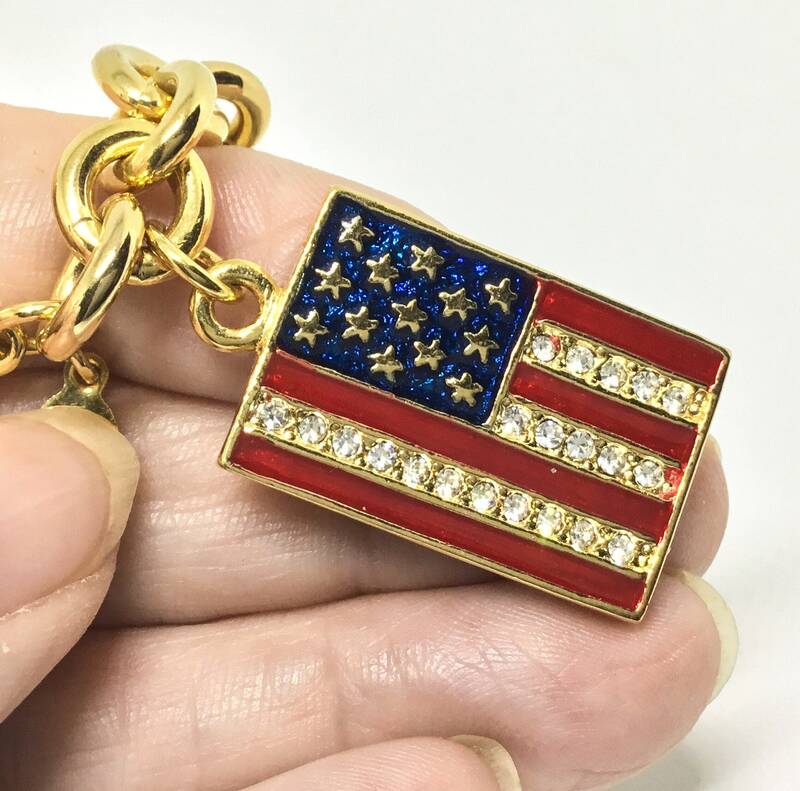 The USA flag has thirteen goldtone stars on a blue enamel background. The stripes are alternating red enamel and goldtone with clear rhinestones. 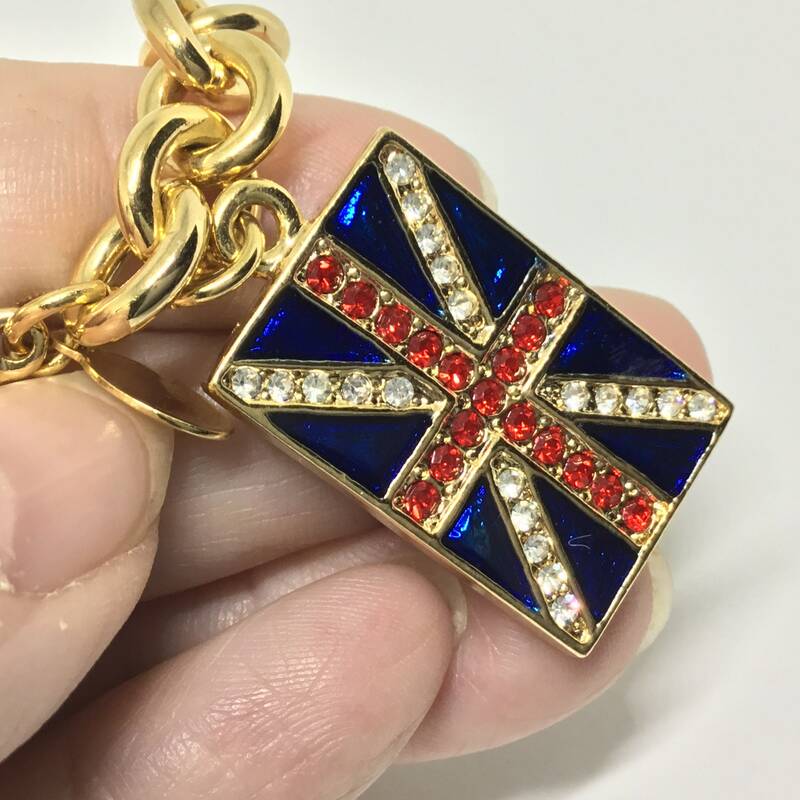 The Union Jack flag has an epoxy blue enamel background. The stripes are goldtone with either clear or red rhinestones. 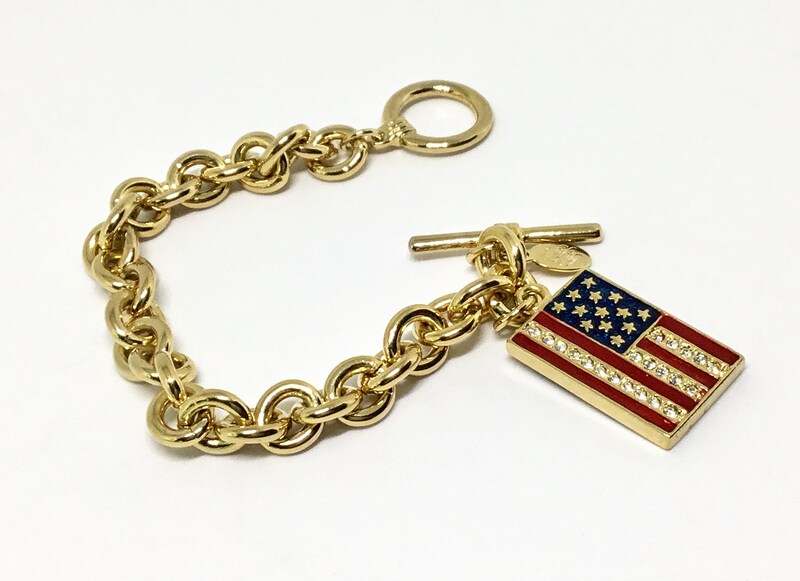 The flag charm measures 5/8” x 1” and the bracelet measures 7”. There is a hangtag that is signed Kirks Folly in script. 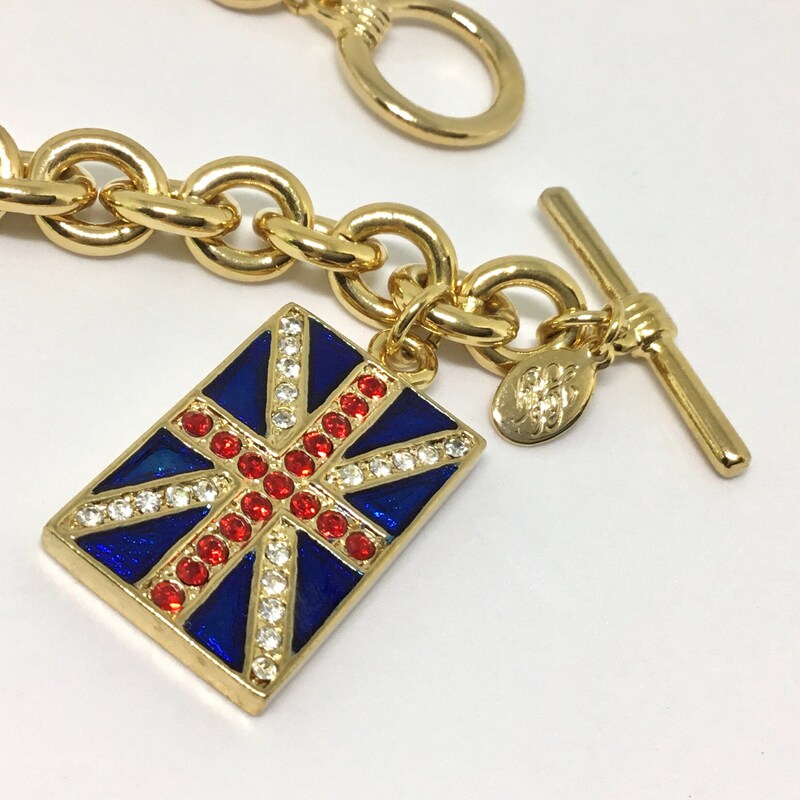 This is a great Kirks Folly bracelet to wear anytime or as a gift to a friend or relative who loves patriotic jewelry!